More than just a good-looking layer, the Women's W GORE-TEX® Jacket from Volcom has a feminine and relaxed long fit silhouette for a flattering fit plus great weather protection. That plus the extra protection of the weather-resistant GORE-TEX® fabric will give you confidence to keep your cool on and off the hill. Thank you for your inquiry. 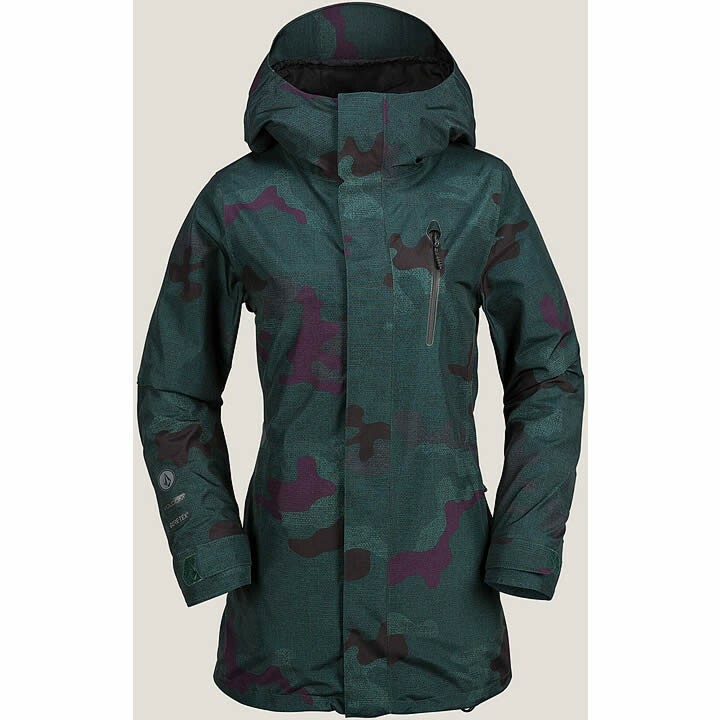 The length of the Volcom W Gore-Tex Jacket will differ between sizes. A size chart with specific lengths is available below the size menu drop down on the product page. The jacket features a relaxed long fit silhouette which extends below the hip for a flattering fit plus great weather protection.